Experience the ultimate Christmas gift of true love between a young married pair. The couple lived in dysfunctional families in their past, which spawns discord in their present until an affair brightens their future. We have a good group of actors who will read the script. General seating: RSVP is required. The venue is FREE, but we ask guests to bring appetizers or beverages to share. Location: 2815 commons Way, French Hall on UC Campus. Room 2225 (ground floor). Please contact Chair Sandi Kivkovich at Sandikivi2@cinci.rr.com or 513.861.0004. ALWAYS…PATSY CLINE is suitable for general audiences, including children age 9 and older. 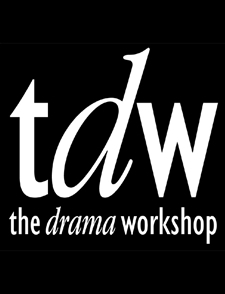 The Drama Workshop is holding auditions for one role for its upcoming production of TALLEY AND SON. opening March 2 and closing March 10, Rehearsals will be held 4 times a week during January and February, with blocking in December. All rehearsals to be held at Mercy Hospital Western Hills Fitness Center and the Hospital. Role available is that of “Kenneth ‘Buddy’ Talley,” playing age of 31. Audition at Mercy Hospital Western Hills Fitness Center Rm A, 3131 Queen City, on Sunday, November 13 from 2-5pm. Further questions can be directed to the Director, Michael L Morehead at morehead71@gmail.com, or at 513-251-8308. Claron Haydon as Otis Gardiner & Ty Olwin as Alexander Ashbrook in CCM's CORAM BOY. Presented by UC College-Conservatory of Music Drama through Oct. 30.